Designed for children ages 8-14, STEAM Max Camps include science, technology, engineering, art and math. This full day camp (8:00am – 3:00pm) will provide hands-on learning opportunities and engaging activities from start to finish. In age-appropriate groups (8-11 y/o, 12-14 y/o) campers will rotate through five sessions each day. They will spend time each day creating their own 3D video games and 3D spaces they will explore using Virtual Reality and Augmented Reality. Part of each day will also be spent uncovering mathematical concepts in visual arts and learning deliciously, creative tricks with our amazing Culinary Art program. The engineering design room will give students the opportunity to tackle real-world challenges to increase problem-solving skills. The price of STEAM Max Camp is $265 and includes lunch/snacks each day. Participants will also receive a t-shirt. There are two options for STEAM Max Camp. This will be one of the best camps of the summer! Camp I will be July 15-18. Designed for children ages 9-12, Public Safety Careers Camp will explore careers in public safety (fire, law enforcement, emergency medical services, and emergency management). 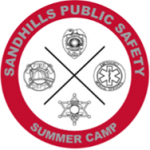 Campers will enjoy demonstrations from multiple local public safety departments, have fun participating in hands-on activities and come away with better understanding of public safety career opportunities as well as safety tips and skills. Camp will be 8 am-4 pm June 24-27 with a cost of $150. Wed, 6/26 will be held at the Moore County Sheriff’s office. Learn and experience the benefits of yoga, meditation, breath work, mindfulness, AcroYoga and much more! In this 4 week series, we will have fun while learning a variety techniques for stress reduction and healthy living. All are welcome! Designed for ages 12-14. This is a fun course, designed to teach kids (ages 10-14) the basics of photography. A variety of cameras are provided for course use only. Learn hands on the use of a Nikon D3200 digital camera, and the week will be filled with fun photo challenges. Each day will have a classroom portion, followed by exploring each day’s photo challenge. Limited seats available. Learn to “tease the keys” in this hands-on piano camp. Learn the As, Bs, and Cs of the piano in this 4-day, fun-filled experience. For ages 8-10: Primer level study beginning with pre-staff notation, transitioning into reading notes in and around middle C on the staff through simple songs. For ages 11-14: Older beginner level, starts with learning to fin notes on the keyboard, expanding to reading simple songs and rhythms. Learn to fly a drone and improve your skills at our hands-on summer camp. By the end of camp, you will fly them with precision through obstacle courses and you will prove your skills with a competition. Take home your very own “flyer.” For ages 11-14. In our Engineering Technologies camps, campers will build and test bridges, design and model in 3D CAD, build, program and test robots, create a digital media presentation, and participate in fun physical education activities. Camps will be 9 am-3 pm each day and the cost of $225 will include lunch each day and a T-Shirt. Camp for rising sixth and seventh graders will be July 8-11 and eighth and ninth graders will be July 15-18. SCC coaches, players and alumni will lead basic skills, intermediate, and advances skills volleyball camps July 15-17. SCC coaches, players and alumni will lead a basketball camp for rising third-ninth graders June 24-27, 8:30-Noon. The cost is $65.